Professional services: Working with our buyer brokers you will not have to pay anything, the property sellers provide compensation. That however, is not the case for any additional help you hire. Figure $275-$500 for an attorney, $175-$400 for a property inspection, $150-$400 for a lead paint inspection and $50-$100 for a pest inspection. Loan Application: You need to borrow money to buy the home you want. The lender needs to make sure that you are a good credit risk and that the property is worth the money you agreed to pay for it. To get the ball rolling, the lender will charge somewhere between $275-$400 for a combination application fee, appraisal and credit report. Points: When interest rates are high, buyers can if they so choose buy down the rates charged for their mortgages by purchasing discount points at the time of closing. Each point is equal to 1 percent of the loan value. Some lenders also charge a 1 point loan origination fee, however if you shop around you should be able to avoid the origination fee. Private Mortgage Insurance: Putting less than 20% down doesn’t convince the lender you’ll really pay the balance. So if you put down less than 20% you must purchase private mortgage insurance coverage, which will pick up the slack if you default. PMI, as it is commonly known, runs from half to a full percent of the total loan amount annually. You will have to buy it until your equity equals 20 percent. At your closing you will pay in advance anywhere from a few months to a full year in advance. Transfer Stamps: The State of Illinois, all Illinois counties and many municipalities levy taxes when property changes hands. Seller’s usually bear the costs, but not always. 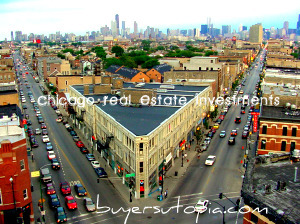 The City of Chicago charges home buyers a fee of $7.50 per $1000 of the purchase price. On a $150,000 house or condo, the bite is $1100. Transfer stamps are the cost that surprises people the most. For the privilege of buying and living in in Chicago you have to pay this fee. Homeowner’s Insurance: You will probably be asked to bring a one-year paid up home owner’s policy to your closing. 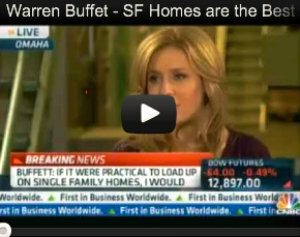 The cost will vary widely, depending on the type of home and its contents. If you are buying a condo, you’ll need a certificate of insurance from the association’s carrier. Homeowners association fees: More and more, association are charging newcomers. The boards are becoming stricter with what they require from a prospective buyer even if the don’t yet have formal board approval. The two most common expenses are a credit report (typically, $60) and a move in fee (often $100). A portion of the move in fee might be refundable if you cause no damage. Closing Costs: You will pay for the lender to underwrite your loan ($175-$250), to process the loan ($100-$300), to draw up the many documents you will sign ($100-$150) and then to record them with the county ($50-$65). You will spend ($150-$450) for a title insurance policy for the lender, which is only slightly different from the title insurance policy the seller provides you. And you will also pay the title company between $150 and $250 to act as the lenders agent at the closing. Buyers who take out adjustable rate mortgages incur some additional charges because there is more documentation. Escrows: Your lender may require you to prepay certain ongoing expenses, most notably property taxes, homeowner’s insurance and private mortgage insurance. If so, you’ll be charged at closing a certain amount of money each month plus an advance payment of anywhere from a couple of month’s to a year’s worth of estimated payments.